image . Wong Siew Te . text . Pauline Chan . Helarctos malayanus - the smallest bears in the world, are agile tree-climbers. In fact, they often behave more like an ape than a bear. They are equipped with soft foot pads and strong curved claws that help them to cling and grip onto tree trunks and branches. Sun bears are omnivores. They eat termites, ants, beetle larvae, bee larvae, honey and are fond of fruits especially figs. Sometimes, though rarely, they eat flowers and shoots of some type of palms too A good bear diet gleaned from a healthy forest. These are the arboreal Malayan sun bears of Borneo who spend a large amount of their time on trees: to find food, rest, sleep, to stay dry from the often wet tropical rainforest floor and ultimately to stay safe from land predators. However, their natural protective habits are not going to keep them safe always for their existence is dangerously threatened by man and man's obsession to deplete the environment and capture its inhabitants for their personal economic gains. While sun bears exist in several countries in Asia, Borneo is currently the remaining stronghold for this species. According to the International Union of Conservation of Nature (IUCN) Bear Specialist Group, the total sun bear population has declined by at least 30% in the last 30 years and the sun bear is listed as 'vulnerable' on the IUCN Red List of Threatened Species (IUCN 2007). The Convention of International Trade of Endangered Species of Wild Fauna and Flora (CITES), which monitors international trade in specimens of wild animals and plants to protect their survival, lists sun bears in their Appendix 1 - a list of species that are given protection to prevent over-exploitation - since 1979. The 1997 Sabah Wildlife Conservation Enactment made it illegal to kill or hunt sun bears in Sabah. image . Ng Wai Pak . The sun bears are facing a difficult time with multiple threats coming from many sides. The main threat is from the direct actions of humans. The large-scale clearing of the Borneo rainforest to make way for crop plantations is reducing the bear's habitat and source of food. Poaching of bears for bear parts that are sold for medicine and food is rampant and unchecked to the point that the survival of this bear species is precariously thin. Adorable baby bears are sought as exotic pets where they end up in unnatural conditions in foreign lands, usually behind bars. Killing of sun bears is illegal in all sun bear-countries but sadly, enforcement of laws to curb such activities is weak. In Myanmar, Thailand, Lao PDR, Cambodia and Vietnam, sun bears are commonly poached for their gall bladders for bile and bear-paws; the former is used as traditional Chinese medicine and the latter is an expensive delicacy. Illegal wildlife trade results in the killing of the mother bear in order to capture the cubs for pets. When the demand for sun bears to satisfy human wants and whims does not diminish, the bears will be continue to be sacrificed. The sun bears remain to this day the least known of the bear clan. There has not been much interest or biological studies on them. They are not A-list candidates for high profile movies, stories, documentaries or even poems but one man and his team at the Bornean Sun Bear Conservation Centre (BSBCC) are hoping to raise their profile and, in good time and with support from the world, their survival rate as well. The Bornean Sun Bear Conservation Centre, located in Sabah, Malaysia, was founded in 2008 by Wong Siew Te, in an effort to provide care, rehabilitation and release of orphaned and captive sun bears. 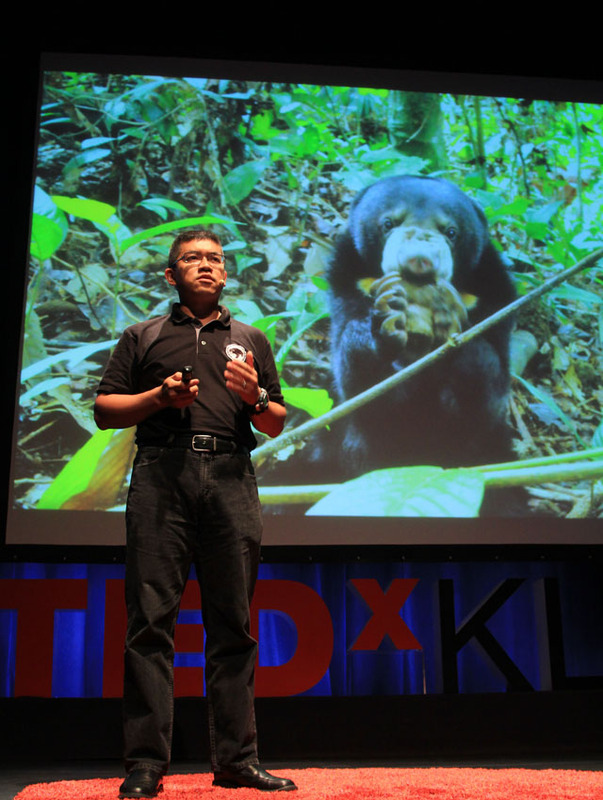 Wong, a Malayan sun bear expert and wildlife biologist, has spent all his life studying and working with animals. His work on wildlife at the University of Montana lead him to study the sun bears in the rainforest in Borneo, which then became his primary focus in the last ten years. 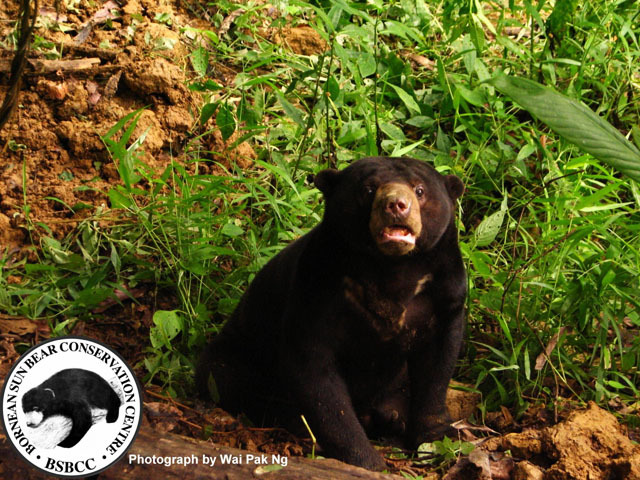 He undertook a gargantuan task to rally for the creation of a conservation centre to address the sun bears' plight, and his passion and persistence eventually lead to the establishment of BSBCC. image . Hai Feng Chan . 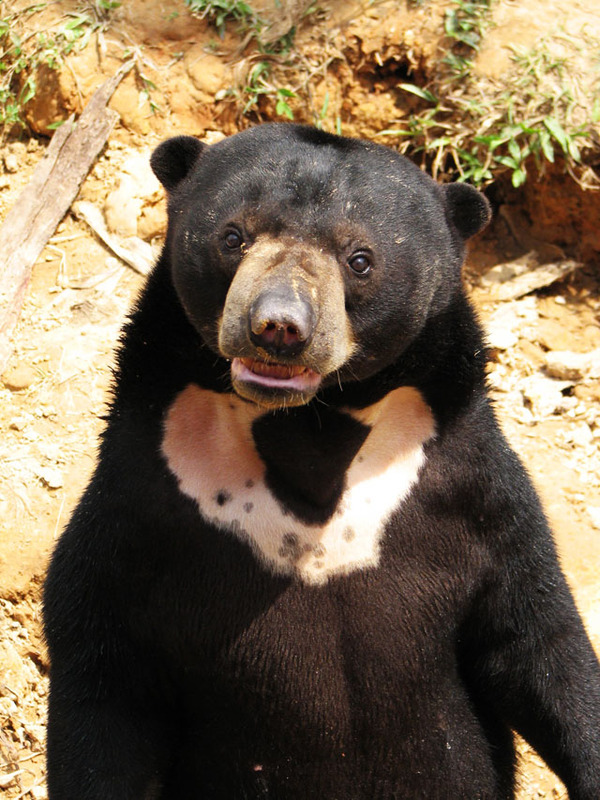 At the BSBCC, the goal is to promote sun bear conservation in Borneo by "creating the capacity to confiscate, rehabilitate and release suitable orphaned and ex-captive bears back into the wild" and "provide an improved long-term living environment for captive bears that cannot be released". They also aim to provide education and awareness on this species as well as conservation measures to the public with ongoing research and training. There are currently 27 sun bears at the facility, many of them have had a sad tale to tell before being rescued by the staff from BSBCC. Their distress is evident and their suffering etched into their personalities. But slowly, they are being rehabilitated and eventually, they will make it on their own back in the forest. The woes of sun bears would be unspeakable if not for the timely efforts of a dedicated conservationist and his team. But their efforts cannot stand alone without the support of the community. How can you help? Meet the bears, know their plight and find out what’s being done for them so you can tell their stories, especially to the children. 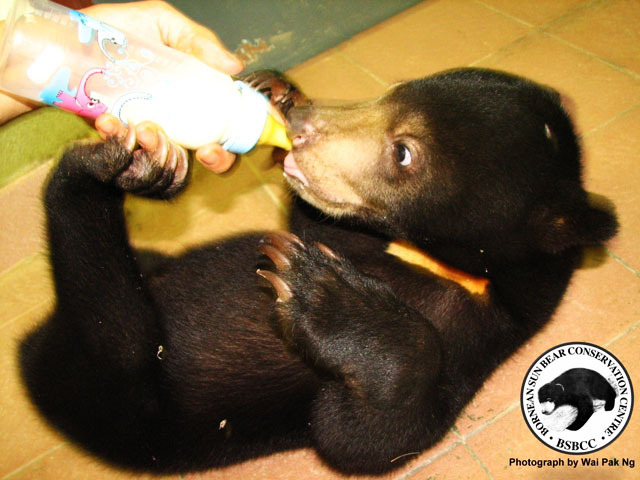 Funds are needed to set up the centre, run the conservation programs, take care of the rescued bears and many more. If you wish to make a donation towards their cause, you can donate online via BSBCC or LEAP.